St John of God Murdoch Hospital Intensive Care Unit (ICU) is participating in a global trial which aims to discover if patients with septic shock recover better with or without a low dosage of steroids. Approximately one quarter of people who suffer septic shock that is not rapidly reversed will die. Principal Investigator Dr Adrian Regli says administering hydrocortisone is standard practice for septic shock but there is no agreement among doctors globally about whether it improves patient overall recovery and survival. “Around 75 per cent of Australian Intensive Care Specialists prescribe hydrocortisone to modulate the inflammatory and cardiovascular response to overwhelming sepsis,” Dr Regli says. 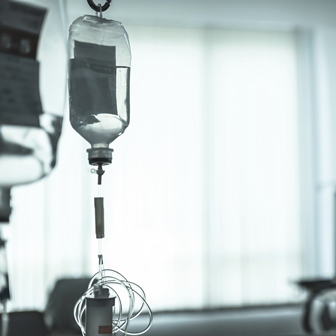 The trial compares two standard treatments for patients with septic shock: a continuous infusion of hydrocortisone (200 mg) a day versus placebo for seven days or until discharged. Critically ill patients in the ICU with low blood pressure due to septic shock are invited to take part in the trial. To date, 2200 out of 3800 patients have enrolled in the trial. The study is being conducted in hospitals globally, is designed by the Australian and New Zealand Intensive Care Society (ANZICS) and funded by the National Health and Medical Research Council of Australia. This is the first clinical trial being conducted by St John of God Murdoch Hospital’s ICU, with more scheduled for the future.